Installing a carpet is not an easy do-it-yourself project, but it can be done if you have the time and the know-how. You would also need specialized tools to accomplish the job with ease and efficiency. Take note that you can rent out some of the tools at a local store rental or borrow from a friend. Check out the tools below to ensure a successful carpeting project. You have to have tack strips around the perimeter of your room to ensure that your carpet is held in place, and to make sure that your new flooring is stretched evenly and looks its best, you will want to make sure that your strips are cut to the right size and located around the edge of your room. These strips need to be fairly heavy-duty so that you don’t have to worry about them coming or up getting damaged when you are attaching the carpet to them, which is why they are so durable and sturdy. This means, of course, that you have to have a sturdy and durable tool to cut your strips to the right size. Rather than attempting to use a handsaw, it’s best to have a tack strip cutter. 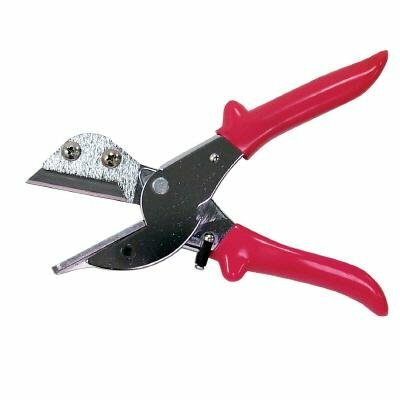 These tools have very powerful jaws and cutting edges that can easily slice through your tack strips without any problems. Make sure that when you buy a tack strip cutter and that you opt for one with ergonomic handles so that you don’t have to worry about hand cramps, and you should choose one with an additional miter guide. This small guide will make it significantly easier for you to cut the right angles without a lot of frustration. The major problems that you can run into when using a carpet stapler to install your carpet are that the staples can get stuck in the pile, they may not go all of the way through the carpet into your flooring, or they may pop back out of place soon after you have completed your installation job. This is not only incredibly frustrating while you are working, but it can be dangerous for everyone in your family when the job is completed. 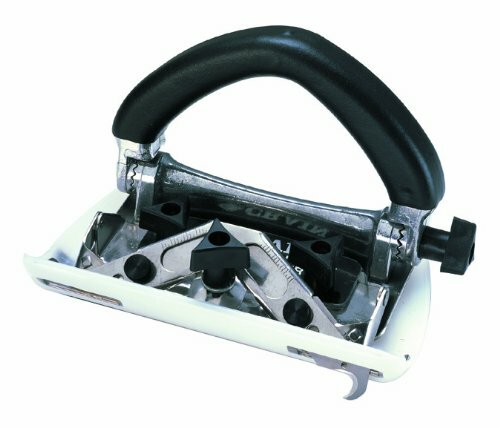 You want to choose a carpet stapler that is designed to last for a long time and to provide you with the help that you need. Look for a carpet stapler gun that has a very long nose so that you don’t have to worry about whether or not it will be able to reach through thick shag carpet. Additionally, while many people love the ease of using a cordless stapler, when you choose one that is corded, you will enjoy great power throughout your entire job. Another feature to consider is a nickel-plated magazine that will prevent the magazine from accidentally collecting lint while you are working or becoming jammed, which can slow down your installation process. A heavier carpet stapler may seem like it will be harder to use all day long, but will often offer you more power than lighter ones will, so this is often a trade-off for a lot of people. A top cutter is a tool that is specifically designed to cut through either foam or carpets that have a sponge back. Look for a cutter that is easy for you to hold in your hand so that you can quickly run it along the material that you are cutting without it snagging or producing a lot of resistance. They generally come with blades that are at a 30 degree angle so that they will produce very clean seams that are close together. When looking for a top cutter you will benefit from choosing one that has a beveled bottom along the edge of the guide, which will help it to stay in a row so that you don’t accidentally cut the wrong area. While you can use other tools to cut carpet, when you use a top cutter you will be able to move quickly and decisively, which is ideal when you are completing a large job and don’t want to spend a lot of time agonizing over making a mistake or cutting the carpet evenly and neatly. Trimming the carpet along the wall before tucking it down for a finished look is important, but this is almost impossible to do without the right tool, which is why you need to invest in a wall trimmer for your next carpeting job. These tools usually have adjustable handles so that you can make sure that your hands will be in a comfortable position while using this tool. 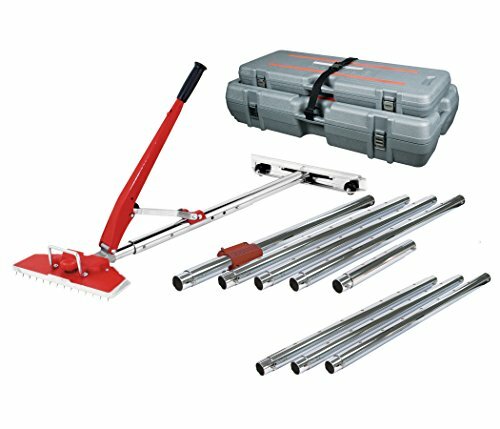 Thanks to the adjustable handles and the low profile, these tools aren’t just ideal for trimming your carpet along the wall, but also for neatly trimming the carpet underneath toe ticks, which would otherwise be almost impossible to do. Because it is very easy to dull your blades when cutting carpet, make sure that you can easily change the blades on your new wall trimmer, or you will find that you are really frustrated. Sharp blades will ensure that the tool doesn’t snag on the carpet when you are using it and will prevent damage from occurring. Without the right tool, it is impossible to tuck your carpet and get an attractive finish to your flooring. You will want to use a carpet tucker when you need to drive your carpet into gullies, push it down and set it into your tack strips, or even crease it neatly along a wall. These tools are very lightweight so that you can use them for a long period of time without your hands becoming tired, but they are incredibly durable so that you don’t have to worry about them snapping off during use. Look for one that has a square edge if you need to be able to tuck your carpet into corners and achieve a finished look. While some carpet tuckers can be used on the stairs to complete a finished look, there are other tools that are made specifically for this job and therefore better suited to creating a tight fit around the stair nosing. Make sure that you choose a carpet tucker made out of a material like a durable and lightweight nylon so that you don’t have to worry about it marking or scarring the baseboard in your room. Unlike a regular hammer that is used to strike nails or to knock pieces of wood or other material into place, when you are going to be installing carpet, then you need to make sure that you have invested in a staple hammer. This is also known as a “hammer tacker” and has uses other than simply installing carpet, including installing insulation and roofing paper. This tool is different from a regular hammer because when the head of the tool strikes a hard surface it will immediately insert a staple into the surface. This makes it very easy to staple down the carpet pad without having to use both hands to hold a nail and operate a traditional hammer. There are two main types of staple hammers: fixed-driver hammers and mechanical-driver hammers. Fixed-driver hammers have a magazine track inside the body of the hammer and a spring that will control the action of your tool. It is the inertia of the body that will cause the hammer to release a staple into the surface it strikes. The spring will then cause the magazine to return to a neutral position so that it is ready to use again. Mechanical-driver hammers, on the other hand, use an actuator that will drive the staple into the material. They generally look larger than fixed-driver hammers but have a similar weight. However, they are not nearly as well-balanced due to the majority of the weight being located in the head. While they can drive longer staples, they are often more difficult to use and can make your arms tired faster, which is something to consider when you are going to be installing a lot of carpet. While there are some tools that are ideal for smaller or larger rooms, if you want to speed up the installation process while still making sure that your new carpet looks amazing, then you will need to invest in knee kicker. These can be a little tricky to use at first, but they will make your carpet installation not only incredibly fast, but also very easy. They are used to help push the carpet into the right place so that it will lock onto the tack strip, and it will not move once installation is complete. Look for a knee kicker that has a very comfortable cushion on it, as you are going to be using your knee to hit the kicker into place, and, otherwise, you can injure yourself. Position the kicker so that the teeth of the tool are about one inch from the wall and are gripping the carpet. You can then use the upper part of your knee to kick into the tool, pushing the carpet into place. While some people may try to install carpet without this tool, it is not only significantly slower, but also much more difficult. It’s a great idea to alternate between a knee kicker and a carpet stretcher when installing your new carpet for the best possible result. A great measuring tape is a necessary tool if you want to be able to quickly and easily measure your carpet. It’s a good idea to buy a measuring tape that is as long as or longer than the length of your room so that you do not make any mistakes when measuring. There are a few features that you can look for in a measuring tape that will make this tool easier for you to use, especially if you are going to be working by yourself. Make sure that you buy a measuring tape that will retract automatically so that you don’t have to struggle with winding up your tape each time you are done using it. Also consider a measuring tape that will lock open in place with the tape extended so that you can measure and mark your space without worrying about how you will hold onto your tape and keep it extended at the same time. A carpet knife makes cutting your carpet into shape fast and easy. Depending on the quality of the carpet knife that you buy and how well you can control it, you may be able to use this knife to trim away the last edges of your carpet before using a carpet tucker along the perimeter of your room. It’s important that you choose a carpet knife that will make it as easy as possible for you to quickly change the blade, as your blade is likely to dull rather quickly when cutting through carpet. Also look for a carpet knife that has a solid body that is made of aluminum or other durable material, as you do not want to have to deal with a plastic knife cracking under the pressure of use. An offset head will allow plenty of room for your knuckles so that they are not in the way when you are cutting, and when you choose a contoured handle you will be able to hold and use the knife for a longer period of time without your hand cramping or becoming tired. If you want to achieve a finished look on the edge of your stairs, then you may want to consider a Hollywood installation. Rather than simply allowing the carpet to fall from stair to stair and then nailing it into place, when you opt for Hollywood installation the carpet will actually wrap around the stair nosing for a tight and finished look. This can greatly improve the appearance of your stairs, but it is difficult to achieve without the right tool, especially if you are going to be working with very thick carpet. A stair tool makes it very easy to stretch your carpet around the stair nosing so that you can enjoy a tight and finished look. They have gripper teeth that will grab onto the carpet without causing any damage so that you can pull the carpet tight against the stair and stretch it into place. At the same time, the bottom of the tool will actually tuck the carpet up and underneath the nosing for a tight fit. Look for a stair tool or “stair claw” that has recesses in the bottom of the edge to make it easy to staple your carpet into place. Many people do not think about protecting their hands when they are installing carpet, but your hands are in danger of getting cut and burned when you are completing this job, which is why you want to invest in a quality pair of gloves. It’s important that you can still move your fingers easily and will still have a strong and powerful grip, or you will find that you are very frustrated trying to complete your installation. Look for thinner gloves that fit tightly to your hands so you can continue to freely move your fingers, but still have an added layer of protection. It’s also a good idea to consider gloves that are unlined, as you do not want your hands to get too hot during installation. It’s important, when you are installing carpet in your home, that you are able to create a good carpet seam, or your carpeting job will look subpar. It’s imperative that you have a carpet seam iron to be able to easily and correctly bond together two pieces of carpet. These tools get very hot and are able to heat up the bond tape quickly and evenly so that the carpet will be bonded to it without accidentally damaging the carpet itself. Look for a carpet iron that has a heat shield so that you don’t have to worry about the back of the carpet being deformed or about the yarn on the face of the carpet melting, both which can happen if you are not careful when using your tool or when using a lower-quality tool. It’s also a good idea to look for a carpet iron that has a base plate with an end in a comb shape so that your tool can actually create ridges in the adhesive. This will naturally cause the seams to be much sturdier and to last longer. Also consider the length of the cord of your carpet iron, as it is necessary that it can easily reach the entire seam of your carpet so that you don’t have problems heating up the adhesive in one smooth move. After using your carpet iron to bond together your pieces of carpet and heat up the adhesive on your seams, you will want to use a carpet seam roller that can help you to seam your thicker carpets. While thinner carpets, or ones without deep and plush piles, will be easy to seam correctly without the help of an additional tool, if you have carpets with deep pile or a Berber carpet then you will want this tool. It features star wheels that will help to improve the transfer of the adhesive into the carpet to ensure that your seams last for a long time. 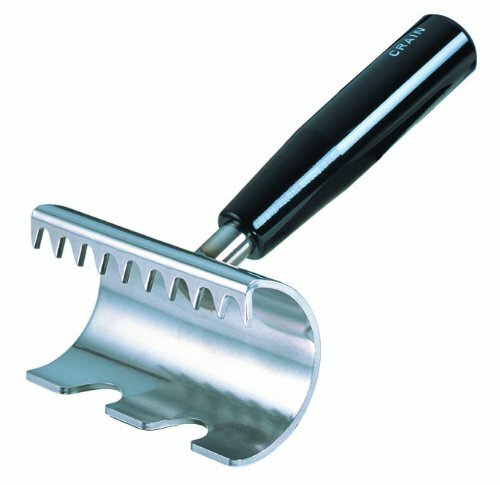 Look for a tool that has a thick and comfortable handle so that you don’t have to worry about your hand getting very tired when using it. This tool is also ideal for making sure that your carpet has hooked correctly and firmly onto the tackstrip. While many people only think about using a floor roller when they are installing vinyl in their homes, they are also ideal for making sure that your carpet is pressed down evenly and that it will be tightly stretched across your room. 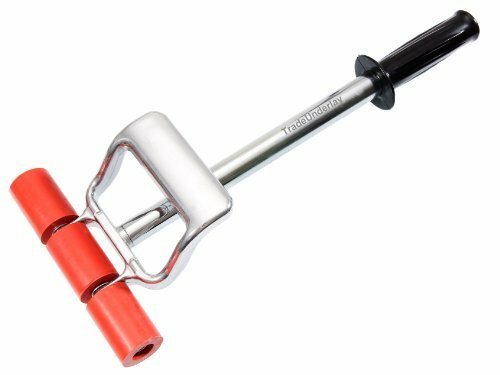 Look for a floor roller that is extendable so that you can easily adjust its height, also called the length of the handle, to be the perfect size for your needs so that you do not injure your back when using this tool. When you choose a floor roller that has a stirrup handle close to the head, you will be able to easily get down on the floor and really press hard to ensure that your carpet is in place. Additionally, look for a tool that has inset axles so that you do not accidentally mark or scuff up your walls when working around the edges of your room. A power stretcher is incredibly important if you want to be able to install your carpet without worrying about a lot of lumps or bumps being left behind, as without this tool it is almost impossible to get your carpet to rest completely flat against the floor. This tool is also useful if you are going to be stretching out an older carpet that has become wrinkled because you do not have the time or the budget to replace it. Once you have hooked the carpet to the tackles strips, you will then be able to use the power stretcher to quickly and easily stretch the carpet across the room so that it is flat and smooth. Dig the teeth of the power stretcher into the carpet about half a foot from the wall, and then press down on the lever to lock it into place so that the tool is ready to stretch. Because you want to make sure that your carpet is flat and tight, it’s important to buy a quality carpet stretcher that will be able to complete your job. If you are working with particularly heavy or thick carpet, then you will need to make sure that the stretcher that you buy can easily handle this heavier material.